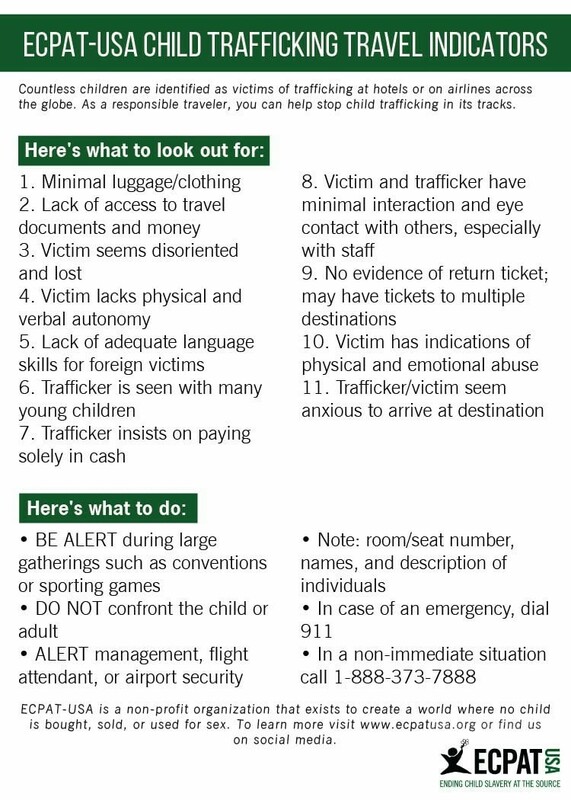 Click below to learn the signs of child trafficking when you’re traveling. The more we are aware, the better our chances of help stop child trafficking. Are you a business traveler from the Omaha area? Register your company to attend our May 9 luncheon. Anna Brewer, former FBI investigator, currently with the Omaha Womens Fund and the State Attorney General’s office, will help you learn more signs of trafficking and provide critical information on how to stop it.